It is possible to configure CPU and RAM resources for each job as described in the following table. Note: Paid accounts must request to use this feature by opening a support ticket (or by contacting their Customer Success Manager when applicable) and non-paid users must request to use this feature by opening a ticket at https://support.circleci.com/hc/en-us/requests/new. 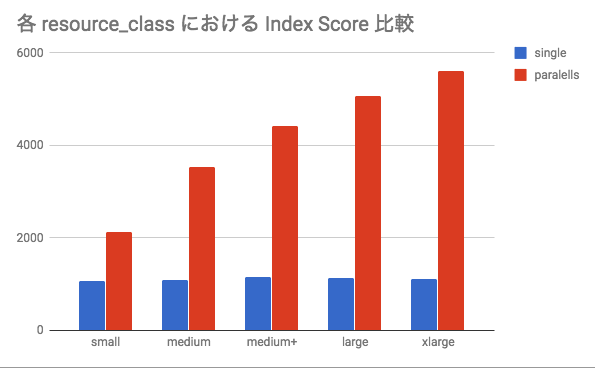 If resource_class is not specified or an invalid class is specified, the default resource_class: medium will be used. The resource_class key is currently only available for use with the docker executor. Our Organization GameWith uses a CircleCI paid plan. I found about resource_class in the document, can you add our team to the whitelist? I hope to improve the build execution further. I've enabled configurable resources for your org `GameWith'. Keep in mind this is a premium feature of CircleCI 2.0, while we aren't charging for this feature now, we do plan on doing so in the near term. Keep in mind this is a premium feature of CircleCI 2.0, while we aren't charging for this feature now, we do plan on doing so in the near term.